The country benchmarking tool, which enables cross-country comparisons and rankings of key ASTI indicators. 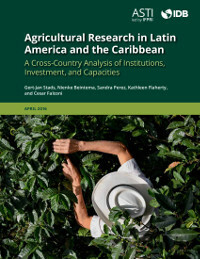 The regional synthesis report, which reviews the major institutional developments, investment, and human resource trends in agricultural R&D in Latin America and the Caribbean up to 2012/13, drawing from comprehensive data collected from more than 700 agricultural R&D agencies across the region. 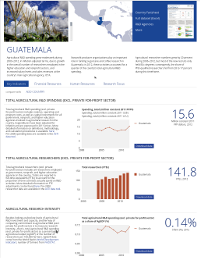 Country pages featuring national agricultural R&D capacity, investment, and institutional indicators and trends. 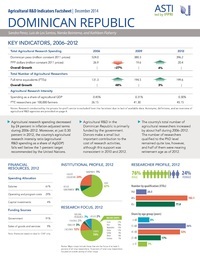 A series of country factsheets, which present key agricultural R&D indicators in a highly accessible visual display. The factsheets also feature a more in-depth analysis of some of the key challenges that individual agricultural R&D systems are facing, and the policy options to address these challenges. 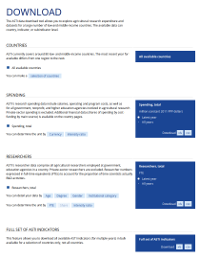 Data download and mapping tool, containing all of ASTI’s regional and country-level data.